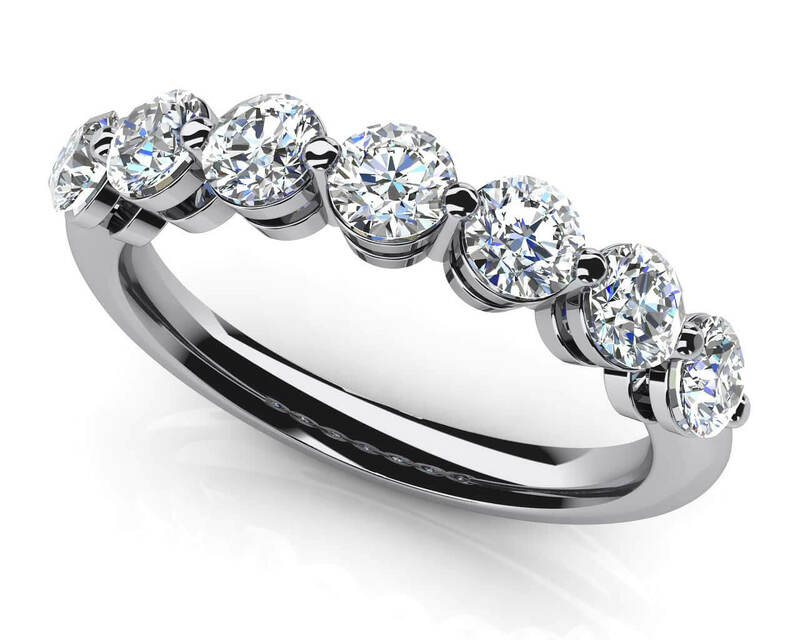 This beautiful design features round diamonds in a shared prong setting which makes each of the round diamonds sparkle and shine even more. 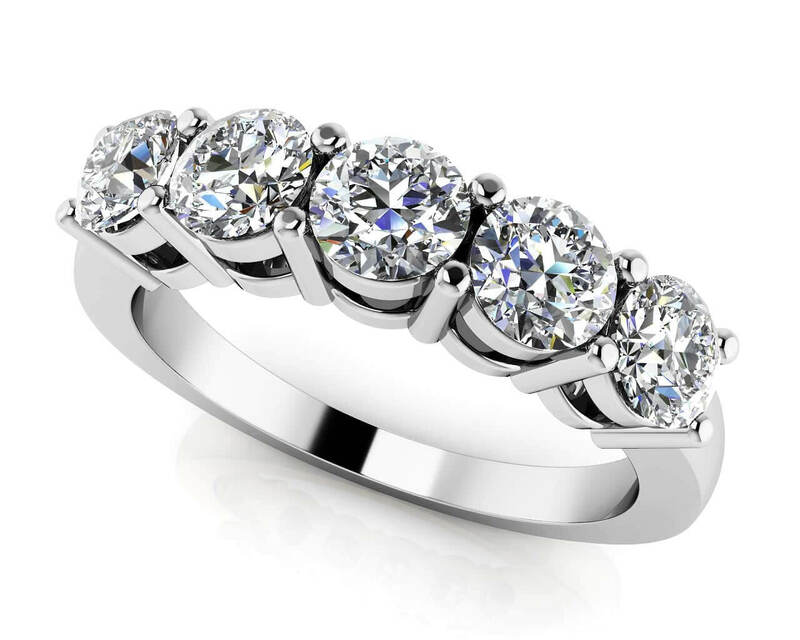 The ring is available in 5 different total carat weights and can be further customized to match your taste of metal type, diamond qualities and size. 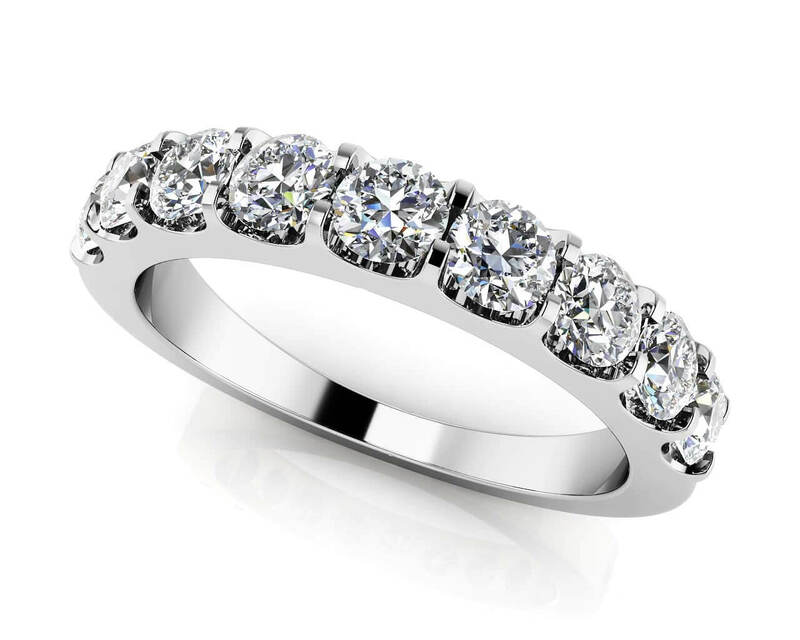 Make a statement with this stunning diamond anniversary and wedding ring. Stone Carat Weight: 17X.015 ct.